A slice of life. Or something that should be a slice of life - good humor. 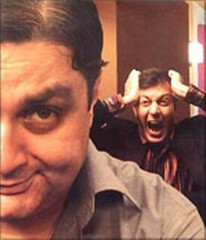 Vinay Pathak reminds you how to take a joke on yourself and Rajat Kapoor how not to make a joke on the likes of Vinay. And they do so in comical situations that build on top of each other supported by some simple but really amusing lines. The oil being the glossy glitter associated with mainstream Hindi cinema. Isn't it a shame this movie is being called one without "stars"? As soon as Vinay Pathak makes me laugh with the way he locks his briefcase, he is my star. If I yell, "aaa-ouch" when Rajat Kapoor gets hit on his back that is already hurting, isn't he doing something right? Dialogues that characters are made to repeat at every opportunity possible usually make me sick. But, this time, I could have been caught laughing out loud at a couple of such dialogues. Here, they are subtle and an integral part of the personality - not forced, not squeezed in to increase the line-count of the actor. I laughed in anticipation every time. For some reason even the predictable misunderstandings made me laugh. And just when I thought, "okay enough now, this is not going to be funny anymore", the character didn't say it again and the movie ended soon thereafter. The makers knew not to push it too far. That understanding, and the ability to resist the temptation to do it just one more time, is creditable. Sorry, didn't mean to take away anything from the lines that were not repeated. Most of the dialogues are witty and keep you in splits throughout! Like some of the dialogues, things that irritate in real life are used to irritate the characters and get a laugh out of the audience. E.g., the sound effect used to exaggerate the noise created while handling a plastic bag is just hilarious and needs special mention. This is how cinematic liberties should be taken. And not just because you are allowed to. There were a few things that, maybe, were 'outside the scope of the movie' from the maker's point of view but left the audience with questions. Like the inconsistency in Sarika's character. (Read more in the "what didn't work" section). The other problem was that in his very short role, Ranveer Shorey overacted. Yes, you read that right. Granted he was asked to pull a face and modulate his voice in a certain manner. But it didn't work. His character looked rather out-of-place in the otherwise believable set of characters. However, here is something that worked. More than half of Milind Soman's lines were very appropriately - Laugh. And he did laugh heartily. The most wonderful part is that the movie is as much a joke on the simpleton clerk as it is on the arrogant upper class businessman. And yes, these certainly are the kinds of characters that you would be annoyed at if you were with them, but are ready to burst out laughing at because they are with someone else. They make you fondly remember the guys in college who were sources of entertainment not because of any "talent" but because of their personalities. I wouldn't wait for the DVD because this is the kind of comedy that needs to be encouraged - intentional. Ranjeet Thadani (Rajat Kapoor) along with his friends de-stresses on weekends by each bringing in an idiot who doesn't know of the scheme. In search for "his" idiot, Ranjeet finds Bharat Bhushan (Vinay Pathak). How Ranjeet then finds himself stuck with Bharat for a few hours and what conspires is for you to laugh with in an hour and a half. The language used for Bharat Bhushan is excellent. Polished - be it Hindi or the seldom used English. Was it Vinay Pathak singing himself or lip-synching to Shaan? Kudos to him in either case. If he was singing he was not half-bad and if he was lip-synching, he was doing a great job acting! The portrayals of people who cannot sing well but think they can. Reminded me of the first few episodes of an Indian Idol season. The way Bharat checks to see if Ranjeet is looking at the numerical lock code of his briefcase when he opens it. Priceless expression! The conspiracies that Ranjeet and Vinay keep coming up with. Had I not seen people conspire like this in real life, I would not have believed it. The Ranjeet-Sheetal relationship. What was the problem? One moment they looked like the cutest couple and the next we know, Sheetal just leaves? When there were such good performances by the main cast why is the side-side-cast so bad? Bhairavi Goswami, then the lady who plays the mom of the budding jazz singer - why were they so expressionless? The art work of Ranjeet's house. The walls were so dark, that I felt a little claustrophobic after a while. There was no reason for the rooms to be so dark in such a light movie, especially considering most of the movie was shot in those four walls. Vinay Pathak pulling a 'Dory' (of Finding Nemo fame), forgetting who Sheetal was every time. It was inconsistent with his otherwise alert character. Why was Anant Ghoshal (Milind Soman) so interested in helping Ranjeet? 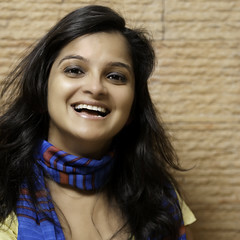 It was refreshing to see a singer (Sarika) who doesn't go for her recording with layers of make-up on. I always wondered when I saw singers in other movies with a whole mask of makeup - were they going for a recording or for a video album shoot? Rajat Kapoor in a pink t-shirt. Very few men look good in pink and he is one of them. Were Ranjeet-Sheetal new to town? Why were they buying cars only now? Yeah-yeah Ranjeet switched sides in showing where he was hurt. The fall was bad, maybe he was hurting all over. Why was Ranjeet given sedatives for a bad fall on the back? Wouldn't he actually need pain killers or muscle relaxants? Also Ranjeet didn't seem to calm down or sedated even after taking the pills. Ranjeet leaves a voice mail for Bharat after their first phone conversation without leaving his name! Does Bharat know Ranjeet's voice well enough from just one phone conversation? Ranjeet's doctor friend played by Tom Alter - looked like he was more friend, less doctor. Why did he hit Ranjeet where he was hurt - first time was funny. They spoiled it by doing it another time. When did Vinay/Ranjeet have dinner? Ranjeet had a good friend in the car dealer. He got Ranjeet the car before the time period he said he required to get the car. Great Review as usual without giving the movie away.. I have to wait for DVD as this won't be played in cinema halls where I live. Oh, that's sad, but hopefully you will watch an original DVD. Thanks amit! Yep, I send my posts to Radio Sargam too. amit has posted 8 comments and has rated 0 movies. See amit's page for more details. Sakshi has posted 4 comments and has rated 0 movies. See Sakshi's page for more details. Thanks, Amit. I take that as a compliment. The old look was truly pretty drab! Yeah Pratik, "The Dinner Game" is now on my 'to watch' list. I hope you enjoyed "Bheja Fry" too. I have watched this film several times as I enjoyed it a lot. And each time I scan eagerly the credits to see to whom is the story ad screenplay credited to. But I never succeeded in finding that in the film's credit displays. And that part pains me deeply. It hints that this is an unauthorised shameless (almost) frame-to-frame and dialogue-to-dialogue copy of Diner de Con a French classic. I have watched Diner de con, and can vouch that apart the initial 10 minutes of the films everything else is identical. The "con" character loved to make match stick miniatures of famous landmarks whereas the Hindi version con liked to sing. Leaving aside 2 jokes that played on a pun in French version and so could not be reproduced in Hindi version as-is all other jokes are retained as is. The makers of Bheja Fry did not use any creativity to change any scene or any dialogue or any character or any joke. And that is what pains - Copying without adding any value-addition. In that case just distributing a Hindi dubbed version of Diner de con would have been more appropriate. Fan has given this movie a Yay! Thumbs Up(Original and copy are identical). Fan has posted 714 comments and has rated 200 movies. See Fan's page for more details. @Fan I still think making a copy well, isn't too easy either. I don't say they should copy frame by frame or not give credit (a certain no-no!) but it is better than botching the original up.